The NPMA office will be closed for the holidays December 26 and January 2. We wish you a wonderful holiday season and a prosperous New Year! Register For the Eastern Conference By Dec. 26 and SAVE! There are only two weeks left to register for the 2017 Eastern Conference at the discounted rate! Register early and join us January 18-20 in Atlantic City for a great educational program featuring both management and technical sessions covering the latest research in the pest management industry. PestWorld planning is well underway! 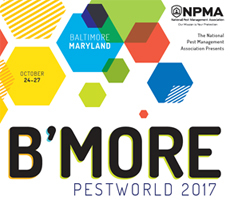 Mark your calendar for October 24-27 to join us for PestWorld 2017 at the Baltimore Convention Center in Baltimore, Maryland. Hotel reservations will open in mid-January and online registration will open in Spring 2017. Stay tuned for more details; we hope you’ll join us in Baltimore! 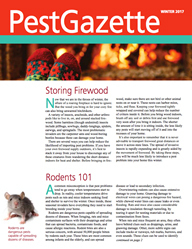 Winter has arrived and the Winter issue of Pest Gazette will help you give your customers and prospects a description of the various types of pests that may take over their home during the season. 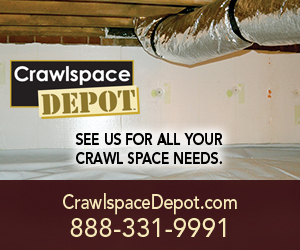 The Pest Gazette is customizable – you can add your logo, contact information and an article of your choice. 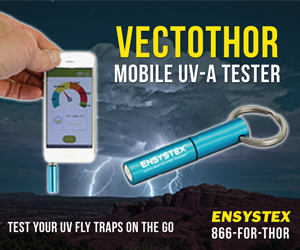 Click here to fill out the order form or contact us at pestgazette@pestworld.org. Have You Met Your Match? With almost 6,000 pest management professionals in its network, there’s almost certainly another NPMA member who’s faced the challenges you’re facing. Been there. Done that. 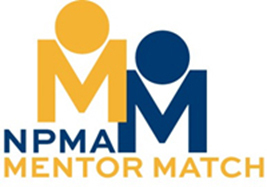 NPMA’s Mentor Match program was designed to help you find those professionals and get great advice that will keep you sharp, current and (last but not least) ahead of the pack. Check out a brief video on how to get started with Mentor Match! Have a human resources problem? Question? Crisis? Do you simply need to brainstorm a problem or a particular employee situation? NPMA members can call, email or text Seay Management Consultants to speak with one of their HR consultants free of charge regarding any employment issue that arises in your business. The comprehensive menu of services provided can be found here. Sandy Seay and his associates are very familiar with the pest management industry, having represented and advised pest management companies for nearly 50 years. For more information about Seay Management Consultants, click here. 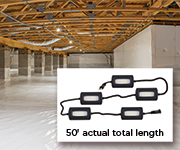 To contact Sandy Seay, call 407-426-9484 or email sandy@seay.us. Kill-A-Bug Termite & Pest Control Company, Inc.
North Mississippi Pest Control Co.
Last week, SFIREG met at EPA’s Crystal City headquarters for the final time in 2016. The advisory group, made up of members from state lead agencies from across the nation, discussed a wide range of pesticide-related topics including harmonizing label language with respirator recommendations, insecticide use in aircraft cabins. Anthony Lamanno, with the New York Department of Environmental Protection raised the issue of airlines requesting the use of insecticides in aircraft cabins, however no insecticide products are currently labeled for this use. EPA also provided the full SFIREG with an update on the recently finalized Certification and Training Rule, which was released last Monday. EPA staff reviewed a 17-page table detailing the original, proposed and final Certification and Training rule, revealing multiple substantive changes that would allow for much simpler implementation by states and compliance by pest management professionals. 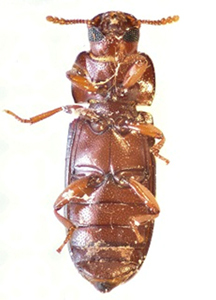 Georgia-based Active Pest Control will serve as the title sponsor of the Active Pest Control Insect Exhibit effective January 1, 2017.